The exhibition entitled ‘The World Famous Mifune’ was held at Tokyu Department store in Shibuya, Tokyo, from 19th October to 31 October 2017. 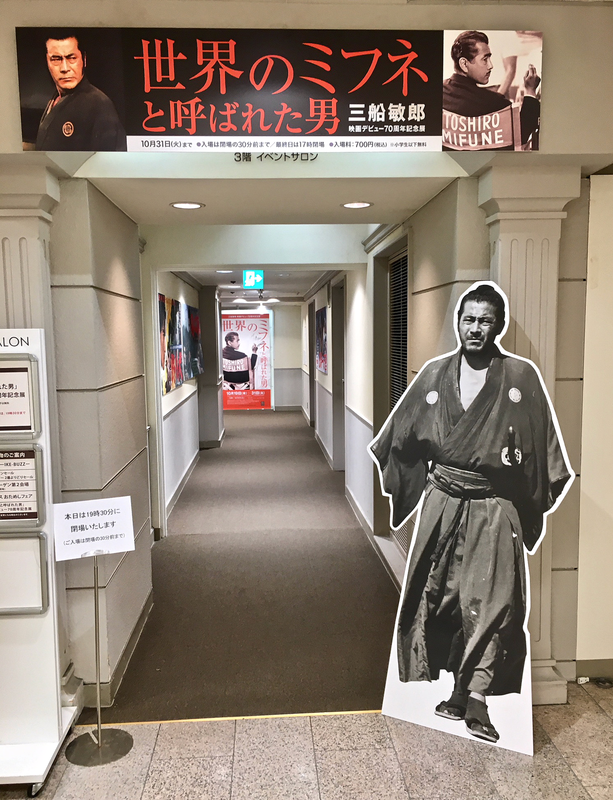 This exhibition was held to celebrate the 70th anniversary of Mifune’s debut in movies; he appeared in around 150 films. 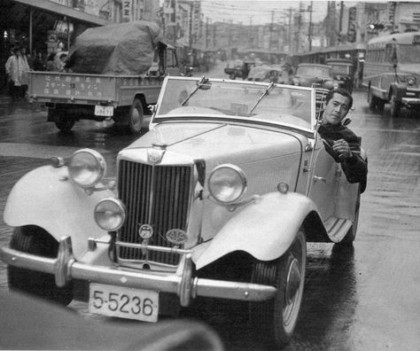 One aspect of Mifune’s life (1920 – 1997) was his attachment to his MG TD. 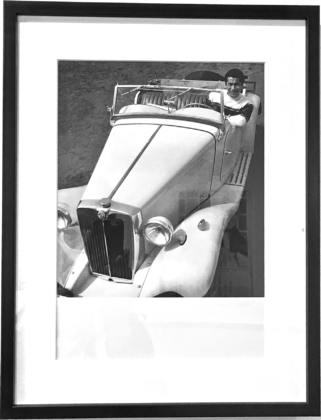 Until his death Mifune was a member of the MGCC Japan Centre which has for a long time been affiliated to the UK MG Car Club. 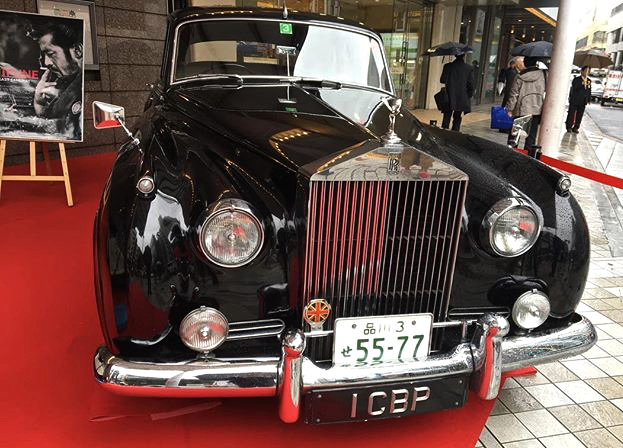 Mifune’s liking of British cars also included his ownership of a 1962 Rolls Royce Silver Cloud. But it was in the TD in which he was seen frequently on the streets of Tokyo and coming and going to the film studios. He owned the 1952 car for about 45 years and it is now in the family trust. 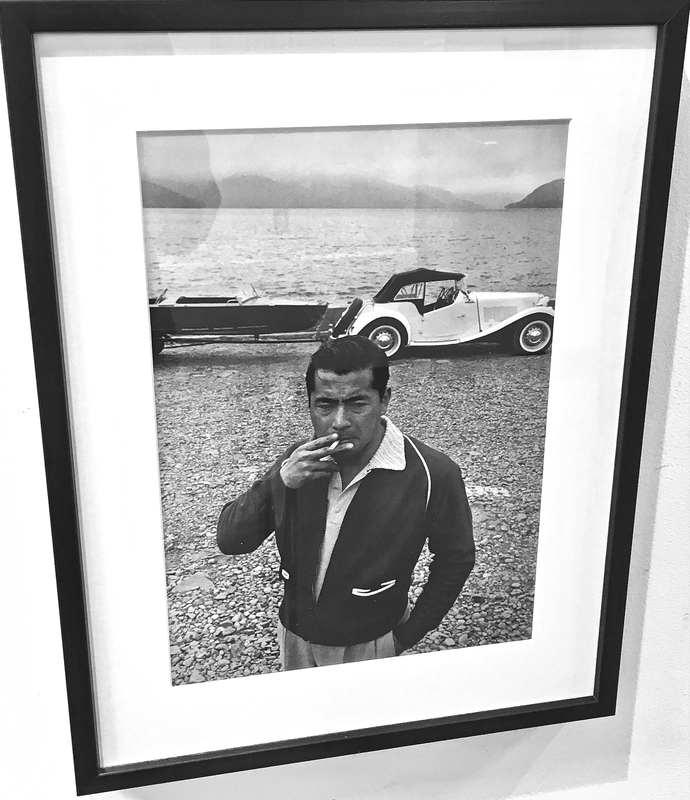 Not only was Toshiro Mifune probably the best known Japanese actor in the West, but in his most creative years he worked mainly with what many regard as Japan’s finest film director – Akira Kurosawa. Some may remember him in three western-produced movies – Hell in the Pacific(1968), Midway (1976), and Grand Prix (1966). Hell in the Pacific can be described as a reconciliation film, although with a cast of only two. An American aviator (Lee Marvin) and a Japanese serviceman (Mifune) are stranded on a desert island during WWII. Initial antagonism develops into cooperation as each realises that their survival depends upon the abilities of the other and working together. In Midway, Mifune plays Admiral Yamamoto alongside a more familiar Hollywood cast which included Charlton Heston, Henry Fonda, Charles Coburn, and Robert Wagner. 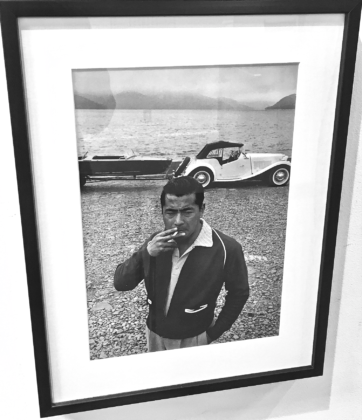 In Grand Prix, Mifune’s character is said to represent Soichiro Honda. 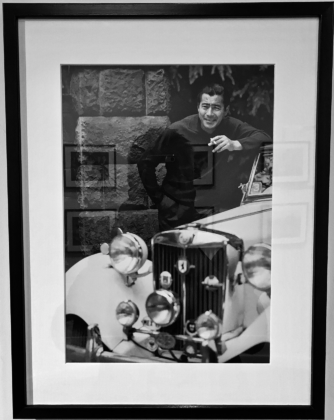 The main star was James Garner, but there are cameo appearances by Graham Hill, Phil Hill, Juan Fangio, Jim Clark, Dan Gurney, Bruce McClaren, Jack Brabham, and Jochen Rindt. 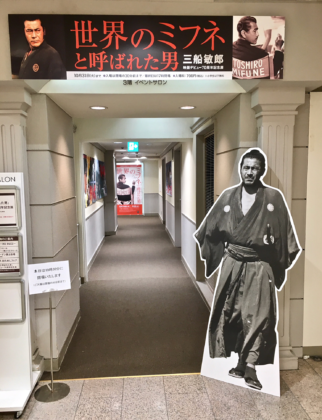 Mifune’s impact upon western cinema is not though the films mentioned so far. 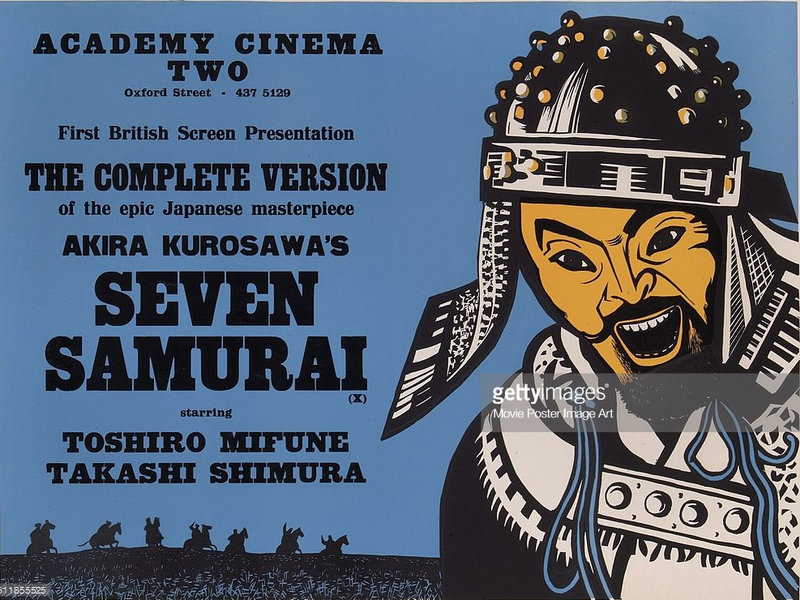 His biggest impact was to star in Kurosawa’s Yojimbo (1961) as a ronin (a wandering Samurai with no master); a man with no name who appears out of the blue in trouble spots, and by using his sword disposes of villains, and disappears as mysteriously as when he arrived. The samurai character was the basis of many subsequent films of the same genre. It should be no surprise that Yojimbo’s producers successfully sued the Hollywood producers of A Fistful of Dollars. 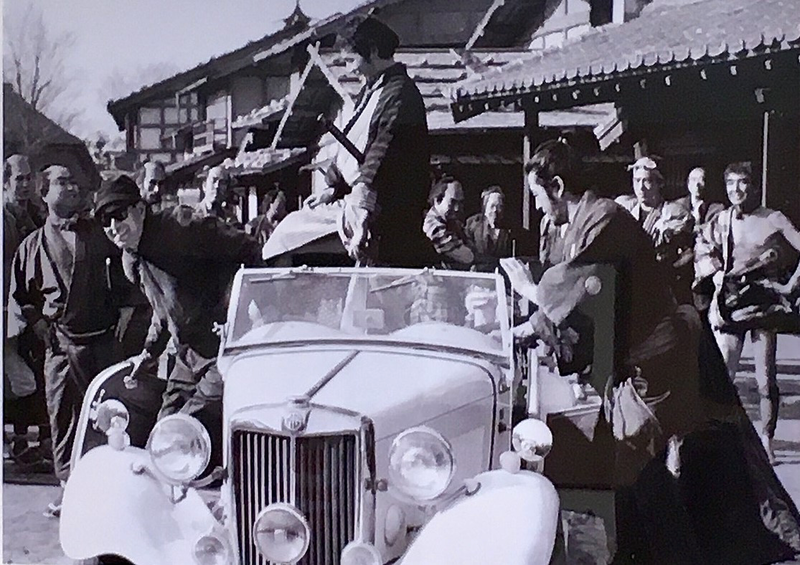 While Clint Eastwood – who had seen Yojimbo – was careful not to emulate directly Mifune’s acting style, nevertheless as the trilogy developed Eastwood became more silent, stoic, and mysterious as per the Kurosawa character. 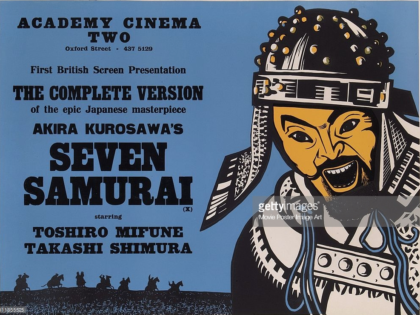 As Mifune’s acting career was greatly helped along with the Samurai films, it may be argued that Eastwood’s was actually started by the Hollywood equivalent. 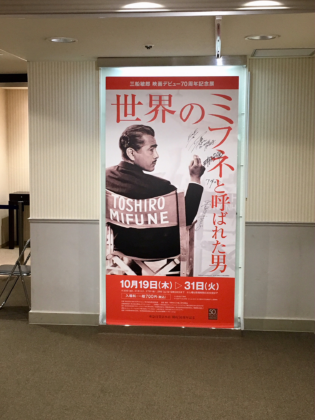 In the spring of 2018, a documentary movie ‘Mifune: The Last Samurai’ will be released, initially in Japan, but may well see wider distribution. 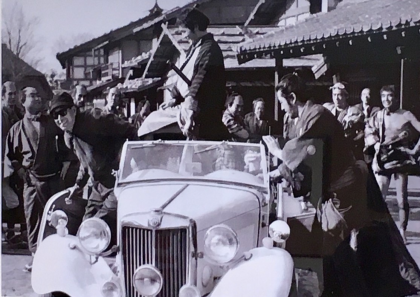 This movie includes interviews with many Japanese and foreign movie people who worked with or were influenced by Mifune’s appearances in films. These include Kyoko Kagawa, Yoko Tsukasa, Yosuke Natsuki, Koji Yakusho, Steven Spielberg, and Martin Scorsese. Look out for it. Who knows, there may be some film of Mifune’s cherished TD. Many thanks to Hideyuki Okane, Kenji Matsuoka and Peter Cook for this article.